Last April, in honor of the sense of excitement, renewal and adventure that spring brings, we did a "Spring Cleaning" issue. The aim was to provide ideas to replace the distractions and noise that surround us with clarified goals and intentions. Another spring is upon us, and so too is another chance to share ideas to free up space and time for what matters most to you. In the dedicated section below, we have a host of hacks that can help make life a little easier. Let's kick it off here with a focus on travel, as now is about the time to plan a fun summer getaway. When are plane tickets at their optimal price? The answer to this question seems to be a bit of a moving target at best, or useless at worst; many believe airfare is impossible to predict. That said, a recent assessment from CheapAir.com recommends buying a domestic ticket 54 days in advance, which matches up closely to Expedia's suggested seven weeks in advance. The same Expedia report recommends travelers buy international tickets 171 days in advance. More specifically, CheapAir suggests 96 days for tickets to Europe and 96 days for trips to Latin America. Perhaps more reliable than timing is setting up alerts for airfare sales and deals. Airfarewatchdog has developed a cult following for a feature that sets it apart from other airfare trackers. Actual humans, rather than computers, search for, track and validate the lowest fares at a given point. That humans are monitoring fares allows them to include Southwest Airlines, which remains nonexistent in most other airline booking sites. It also means these human teams can confirm advertised deals are still available. The site allows you to sign up for fare alerts by departure city, arrival city and city-to-city fares. Once you've found your flight, SeatGuru aggregates user-generated commentary to guide you through each seat on your exact plane in order to avoid, for example, the seat with no overhead bin storage or the seat where the passenger in front of you basically reclines into your lap (although sadly, this seems to be the norm these days). LifeHack.org has some useful tips on how to be a smart traveler, like taking an encrypted USB flash drive with you that includes ID pictures, pictures of the front and back of credit cards, bank information and passport photos in case you lose any of these important things on your travels. The link also shares a sneaky tip to game the amount of wifi time you can get on your flight. 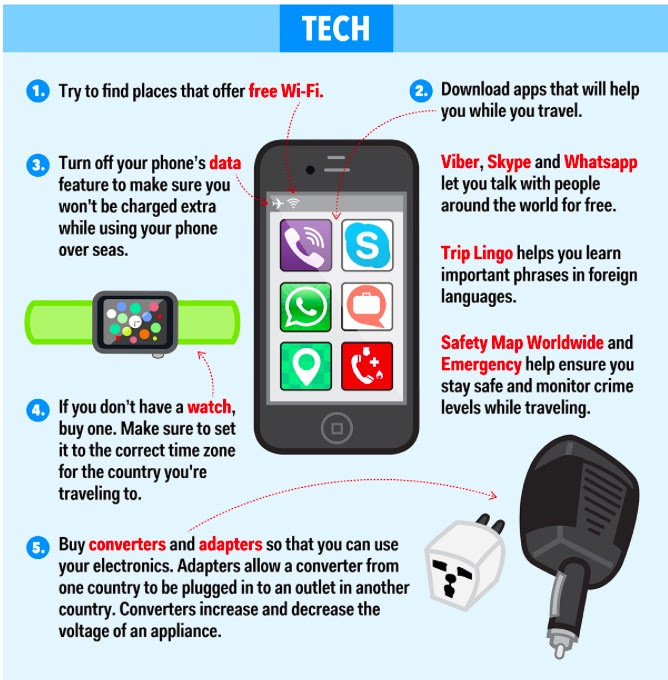 This infographic has several smart travel tips, particularly around technology and preparing for health emergencies when abroad. It also suggests some useful apps to download in advance of your trip (see below). If you're flexible as to when you book your hotel, HotelTonight is an app that allows you to find last minute hotel deals, which often naturally include deep discounts from hotels trying to sell available inventory. The app has partnered with a range of higher end and less corporate hotel brands and can help you find bargains up to seven days in advance. For those of you who love a more personal, relevant and local experience when you travel, Trip4Real might be the app for you if you're traveling to Europe. Trip4Real is a peer-to-peer platform where travelers can find local and specialized guides and activities to create a unique and authentic travel experience matched with your interests and preferred travel style. The site, which launched out of Spain and is expanding in cities across Europe, is perfect for those who aren't interested in merely following a mass of tourists, but instead want to see a city through the eyes of a local. If you have a second home someplace that people might want to visit, or if you'd like to avoid outrageous hotel bills, then check out HomeExchange. The site matches you with people from all over the world interested in visiting your locale and then facilitates a home exchange, totally removing the expense of hotels. See more life hacks below to help you create more time, find efficiencies, reduce waste, maximize spending and apply helpful tips to generally get better at life. Doing so allows you to focus on the question we asked a year ago: should you live your life for your resume...or your eulogy? Once again, we are seeing weaker U.S. economic numbers coming out of the winter season. And once again, we are hearing from the mainstream economic and investing community that this winter, like last year's, has challenged economy. Really? You mean throughout history, economy has not been challenged in the winter months? Common sense would tell us that winter is always going to make for a slower economy. We obviously can't build as many factories, roads or houses in parts of the country covered in snow. So why are pundits using winter as an excuse for economic slowdown? Far more interesting to ponder than winter's natural ebb on the economy is why today we seem to think any slight break above 2% annual GDP growth is something to crow about. We haven't seen GDP grow more than 4% since the dot.com bubble burst in 2000. That was 15 years ago! Surely this gives reason to wonder if some version of the Great Recession still has its claws in us. If our pundits and policy makers were more focused on why annual GDP growth hasn't broken 4% in 15 years and less focused on blaming winter for last quarter's anemic performance, maybe we could find better policy tools to inspire growth. Do we have a minimum wage problem? Or do we have a problem creating enough jobs that pay more than the minimum wage? Adam Smith's belief in individual pursuit of self-interests is obviously much more stimulating than John Maynard Keynes' belief in government stimulus. When it's government's money leading economy, then it is government that is managing economy. That didn't work so well for the former Soviet Union, and it isn't working well now in Putin's Russia either. Is it any surprise that economy grew measurably more from President Reagan's free market policies than it can from today's policies, where government is the answer to everything? The last few reports from the Bureau of Labor Statistic (BLS) seem to indicate that the significant growth in employment that occurred during 2014 (3.1 million jobs) may be slowing. Job creation for this March came in at 126,000, and the numbers for both January and February of 2015 were revised downward. In April of 2014, the BLS reported that 192,000 jobs were created in March of 2014 compared to this March's 129,000. In April of 2014, the BLS also revised January and February 2014 job growth numbers upward, while this year the revisions for those same months were down. This winter was another difficult one, but wasn't the 2013-2014 winter one of the harshest in memory? According to the U.S. Energy Information Administration, the amount of natural gas consumed in the winter of 2013-2014, a reasonable proxy for winter's severity, was greater than it was for winter 2014-2015. So theoretically, this winter's employment situation should show better momentum than last year's. Next month's BLS report will provide an additional clue into just how much job growth momentum there is. In May of 2014, the BLS revised March 2014's numbers up from 192,000 to 206,000. If we don't see a measurable upward revision for March 2015 employment, then the theory that lower gasoline prices are better for the economy than capital investment in our energy infrastructure may prove many economic pundits wrong. Necessity is the mother of invention, of course, but it's also the mother of get up and get after it. In the oil patch, there has been a lot of lamenting the collapse in prices since the end of last summer. Many blame the Saudis for not cutting back their production to cushion the growth in U.S. shale production. How naïve are we to expect a country whose economy is dependent on crude oil sales to cut back so a new competitor can enjoy more success? They may not be American capitalists, but surely the Saudis know where their bread is buttered. Unwittingly, the Saudis may have unlocked Pandora's box. Virtually all U.S. industry possesses a relentless commitment to increasing productivity wherever and whenever possible. If the market price for our oil falls, then American oil company ingenuity is going to find ways to decrease costs and/or increase productivity. Necessity is now going to be the mother of invention and get after it for the U.S. oil industry. We can likely expect the marginal cost of finding and extracting more oil to fall, resulting in profits for U.S. producers even at lower oil prices. For all those engineers and technical specialists who may be displaced by the current oil and gas contraction, we very well could see a renaissance of innovation coming out of Houston and other energy centric economies. Necessity as mother of invention will spur idle talent to get up and get after it. "Job growth in leisure and hospitality continued to be robust in 2014. This industry, which experienced a relatively shallow and brief recessionary job loss, had recovered by January 2012 and had added more than triple the number of jobs lost by the end of 2014. Over the year, the industry added 482,000 workers to payrolls, only slightly less than the 485,000 workers added in 2013. As in previous years, growth was concentrated in the food services and drinking places industry, which added 401,000 jobs in 2014." One has to wonder about an economy where leisure and hospitality is the most active job growth sector. Follow the link for a list of awesome things Google can do besides search. Google has a handy tip calculator, as well as a flight status shortcut. Perhaps coolest of all, Google Sky lets you explore incredible space images taken by telescopes. Quick jaunt to the moon, anyone? Bonus: Google recently launched Google Flights, an Orbitz or Expedia like flight aggregator and search system. 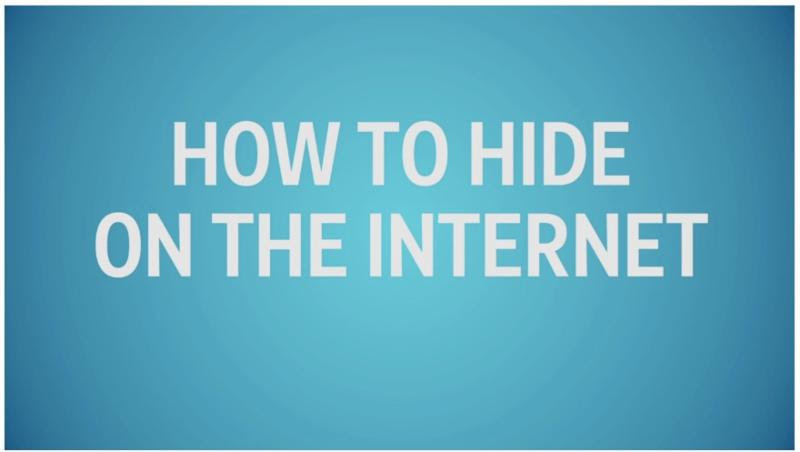 If Edward Snowden's revelations still have you shaken, this short video offers some relatively easy-to-apply Internet usage tips to encrypt and securitize your online activity. A Google security engineer offers tips on how to keep your online information and activity safe, no matter from where you're browsing. Some are obvious (be smart when using the airplane or hotel wifi), others less so. How annoying is it when you're typing an email on your phone, but need to switch back to your inbox? The process of saving and retrieving a drafted email is cumbersome. This article reveals a shortcut that requires nothing more than a smart screen swipe. Follow the link for other great iPhone hacks. Based on levels of pesticide absorption, the Environmental Working Group lists which produce items are worth buying organic and which are are not worth the money. Sometimes it is advantageous to sweat out that cold. 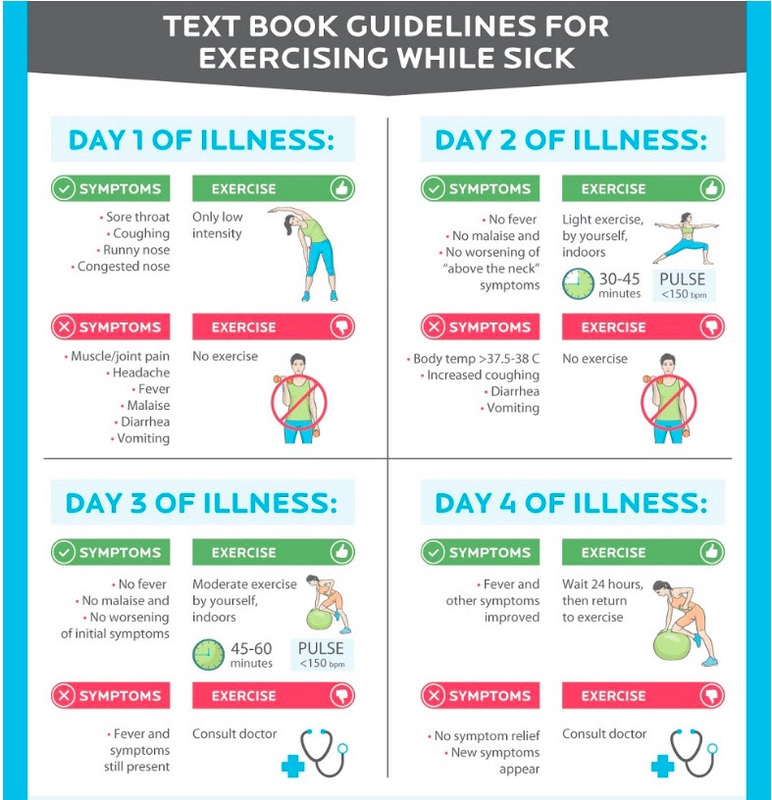 This infographic, a portion of which follows, walks you through when exercise - and what kind and for how long - is appropriate based on your symptoms and the stage of your illness. PulsePoint matches those in distress with those capable of administering CPR. In a real life scenario, 63-year-old Farid Rashti was playing soccer with friends when he felt severe chest pains and lost consciousness. His teammates called 911, which automatically alerted all CPR-trained PulsePoint users of the exact location of the caller. Walter Huber was just sitting down for dinner when he got a PulsePoint notification on his phone that someone in close vicinity was having a heart attack. Huber rushed to the scene, administered CPR and sustained Rashti’s life until ENTs arrived. Time is one of the most critical factors in a heart attack; PulsePoint helps increase the likelihood of survival. Not all knives are created equal. 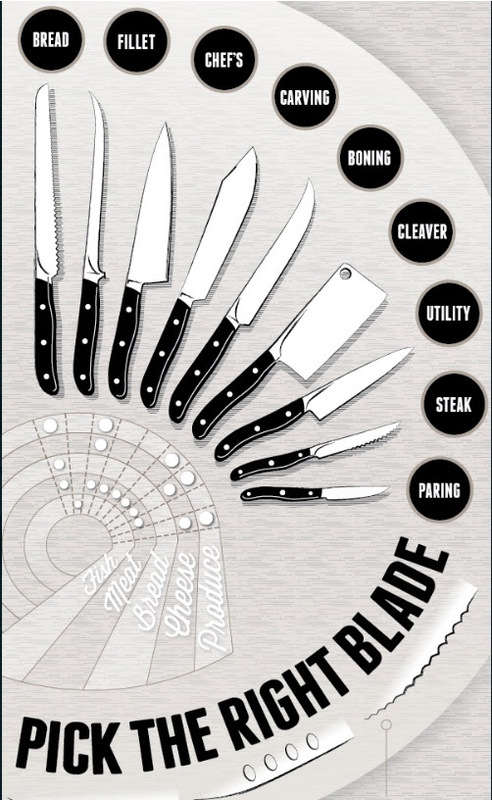 Pairing the appropriate knife to a food item (and, as it turns out, cutting board) can make cutting way easier and cooking way more fun. 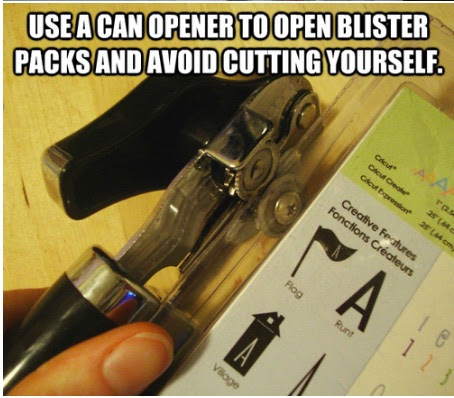 Follow the link for additional tips on how to cut like a pro. How much time do you have to work your way through that massive five pound bag of carrots? What's the most you can get out of freezing your meat and fish? 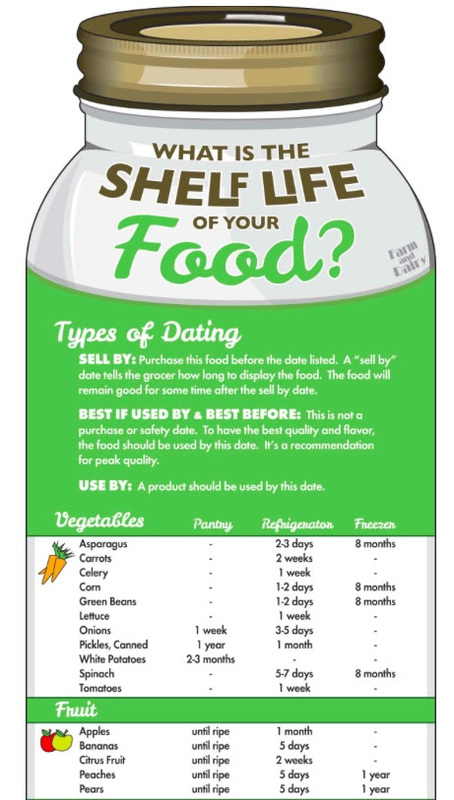 This handy cheat sheet will guide you through the shelf life of all manner of food items - in the pantry, fridge and freezer. 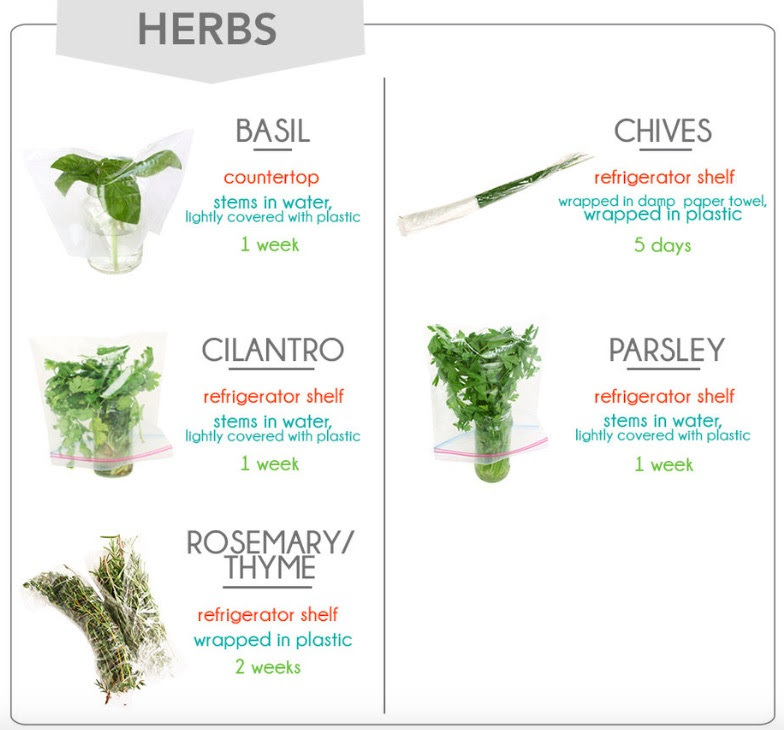 On the topic of food shelf life, you can get the most out of food by storing it properly. Follow the link for tips on how to store everything from fruit, vegetables, herbs, meats, fish and bread products. 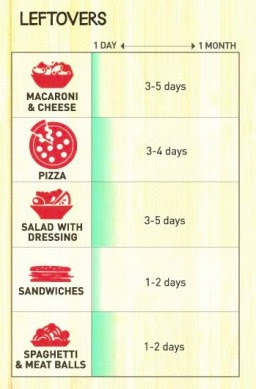 How long you can keep those leftovers before they go bad? Finish up those spaghetti and meatballs quickly, while your pizza will last up to four days. But who can resist pizza leftovers for four days? Acorns is a new app that is ideal in helping novice investors get their feet wet. The app automatically invests spare change on credit card purchases into a diversified index fund. The three-year old company just received a $23 million infusion and has seen significant growth since launching its mobile app in 2014. Geoffrey James, a popular business columnist with an expertise in sales, learned how to sniff out manipulative salespeople - and how to get them on his side or know when it's time to move on. Read on for a simple trick that saved him thousands when buying a home and how you can use it to win over salespeople and save you money, time and grief. 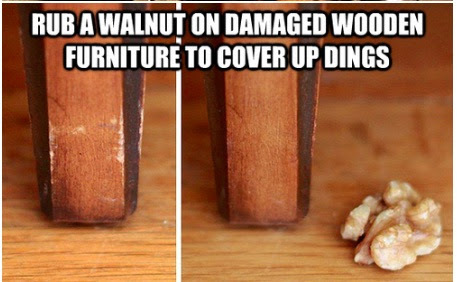 This list of hacks ranges from clever to silly, but is chock full of valuable suggestions. Seven years after the housing market crash, the dream of buying a home has still not yet been restored. With 41% of non-homeowners saying they have no intention of buying a home in the "foreseeable future" (which, per the survey, is greater than ten years), there are sure to be long-term impacts on the housing market. Homeownership rates have also dropped recently, while rental rates have picked up. There are currently over $1 billion worth of projects unfolding around Houston in the area of hospital expansion. To serve the city's ever growing population, most of the construction is taking place in the suburban areas of Sugar Land, Katy, Cypress and The Woodlands. A new Stanford study shows that productivity per hour declines steeply when the workweek exceeds 50 hours. Productivity drops so dramatically after 55 hours that the study found no point to working any hours beyond that. That extra time is better spent engaging in relaxing and rejuvenating activities. Follow the link for 10 suggested tactics to build in regular rejuvenation to maximize the ideal 50 to 55 working hours per week. Giving a speech or preparing an important pitch? The nature of the talk you have to give and its end goal should factor in when considering ideal and effective delivery. The following link has videos of expert public speakers presenting in different categories of delivery, from product demos, to sales pitches, to podcasts and webcasts. The Pew Research Center defines middle class as earning between 67% and 200% of a state's median income, making it a totally relative measure. (Pew also found that the middle class shrunk in every state between 2000 and 2013.) Merging this data with Census data, Business Insider calculated the middle class range in every state and Washington DC. Between 1998 and 2008, antidepressant use in the U.S. increased 400%. A new study found that 69% of the 23 million Americans on some form of antidepressants don't fit the criteria for clinical depression. Rather, they are suffering from life's normal hardships and stressors. The study also found that 70% of the panel members of the Diagnostic and Statistical Manual of Mental Disorders have financial relationships with pharmaceutical companies.